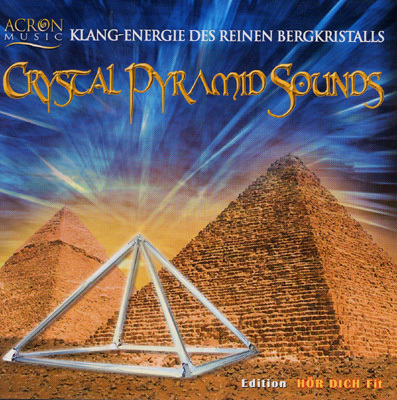 Dieter Schrade is the inventor and constructor of the first sound pyramids made of pure rock crystal. In the true sense of the word, you can listen to the spherical and "crystal clear" sounds of various pyramids. They are not made of glass; they consist of pure rock crystal and are made to scale using the Cheops Pyramid as a model. All the effects achieved with these sounds have not yet been researched fully, but the listening experiences of many people indicate an unbelievable potential. We now have these Crystal Pyramids available, please contact us for further details.